What's The Best Desk For Gaming? We're getting close to having user choices for all the components of your PC gaming space. When we voted on chairs, we actually had a few nominees that were desk/chair combos, but today we're talking specifically about desks. 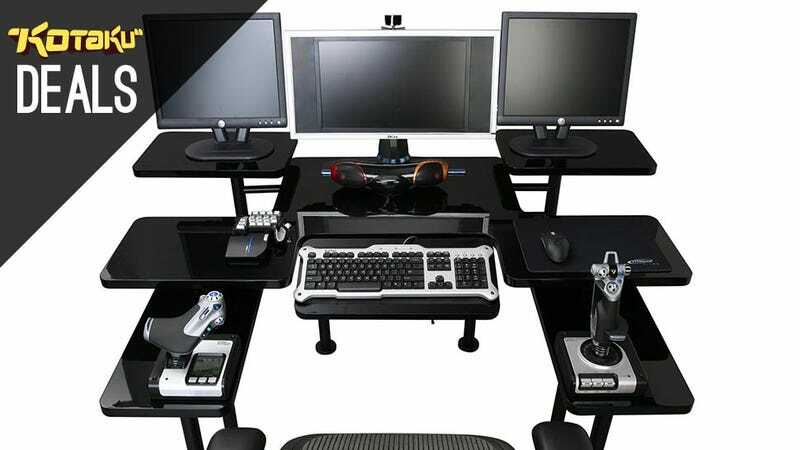 What's the best desk for gaming, and why? Recommending someone else's nomination is your vote, so star those comments wisely. Photos and especially retailer links are extremely helpful as well.